Coventry had to settle for a point after failing to find a way past Sheffield United and in particular goalkeeper Steve Simonsen as the two sides battled out a 0-0 draw. 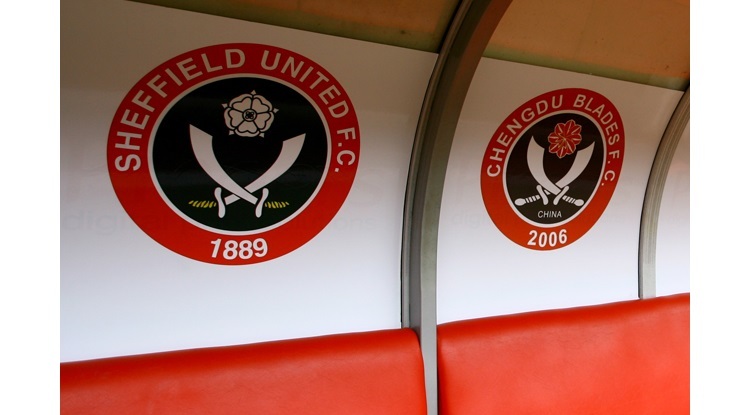 The Sky Blues mustered 17 corners and 21 attempts on goal compared to the Blades' six and four, statistics which served to highlight the one-sided nature of the npower Championship encounter and the heroics of Simonsen. The former Stoke stopper denied City time and time again while Gary McSheffrey could only watch in agony as two second-half free-kicks came back off the crossbar before he fired over a golden opportunity in injury-time. It added up essentially to two dropped points for Aidy Boothroyd's out-of-form promotion chasers, who are now without a win in seven league games. But his United counterpart, Micky Adams, a former Coventry player and manager, was able to welcome a valuable point in the struggling club's bid to avoid the drop. Boothroyd named the starting XI that saw off Crystal Palace in FA Cup action last weekend, while Adams made three changes following the defeat to Aston Villa - new loan signings Shane Lowry and Joe Mattock making their debuts while Stephen Quinn returned from suspension. Coventry certainly started the encounter on the front foot, with five corners inside the opening 15 minutes. But it was the actions - or lack of them - of referee Colin Webster which riled the home support in the early stages, with two two-footed challenges going unpunished before full-back Mattock was the first United player to go into the book. The Sky Blues continued to force the issue, albeit without really threatening Simonsen over the first half-hour. But the experienced goalkeeper quickly rose to the occasion to keep the visitors on level terms three times in the space of a matter of minutes and then never looked back. He first parried Lukas Jutkiewicz's effort before getting up to divert McSheffrey's shot on the rebound wide, and then denied Freddy Eastwood with a fine stop. Simonsen was at it again before the half-time whistled sounded, spilling Carl Baker's 38th-minute long-range effort but blocking the rebound from Jutkiewicz who should have lifted the ball over him. The 31-year-old then tipped Baker's brilliant shot around a post and again denied Jutkiewicz to ensure, somehow, it remained level at the break. United started brightly after the interval as they looked to change the pattern of play, Ched Evans firing wide before seeing Keiren Westwood do well to block his effort from six yards. It was a more keenly-contested second half as the Blades posed an attacking threat of sorts, but it was the Sky Blues who continued to look most likely to break the deadlock. McSheffrey saw a first free-kick strike the crossbar in the 57th minute before a couple of headers went off target. And the former Birmingham winger was left cursing his luck again in the 70th minute as he watched another set-piece strike hit the bar, rebound off Simonsen and away. Westwood blocked from Quinn at the other end before McSheffrey fired one final chance over from seven yards late on, leaving Coventry wondering what might have been.